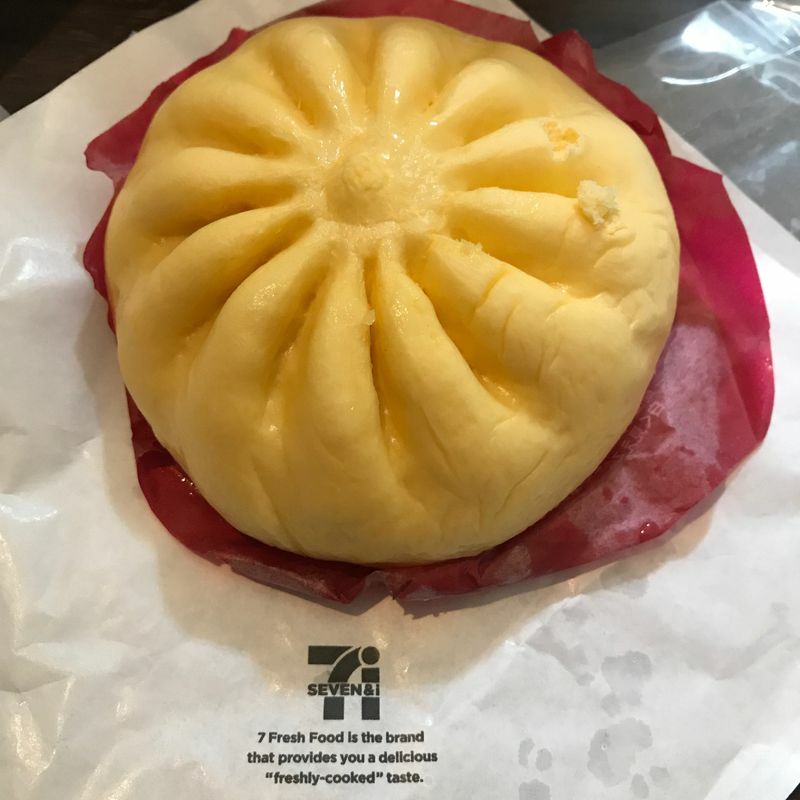 It's no secret that convenience store chain 7-Eleven has the best buns out of any convenience store. Their pizza-man (tomato and cheese filled buns) are absolute perfection. So, whenever they have a new bun out for sale, I feel compelled to purchase it. Their newest offering is the ebichili-man. From the name, I was expecting a slightly sweet and spicy filling with shrimp peppered throughout. Looking at it, they decided to go with a yellowish bun. 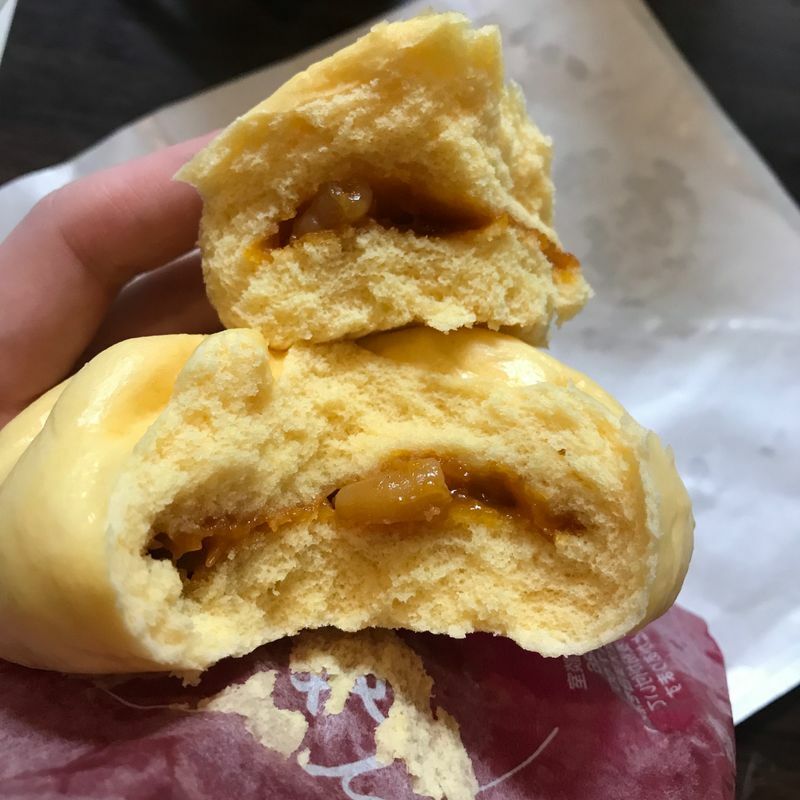 For different flavors, different colored buns are used. The familiar white is reserved for their meaty niku-man, brown for their sweeter offerings like choco-man, and green for healthy options like chicken and veggie. Here's another color on the nikuman rainbow spectrum. Ripping it open, there was mostly breading. You can see the sticky filling and a piece of shrimp sticking out. Some shrimps were solid, while others were chopped up. 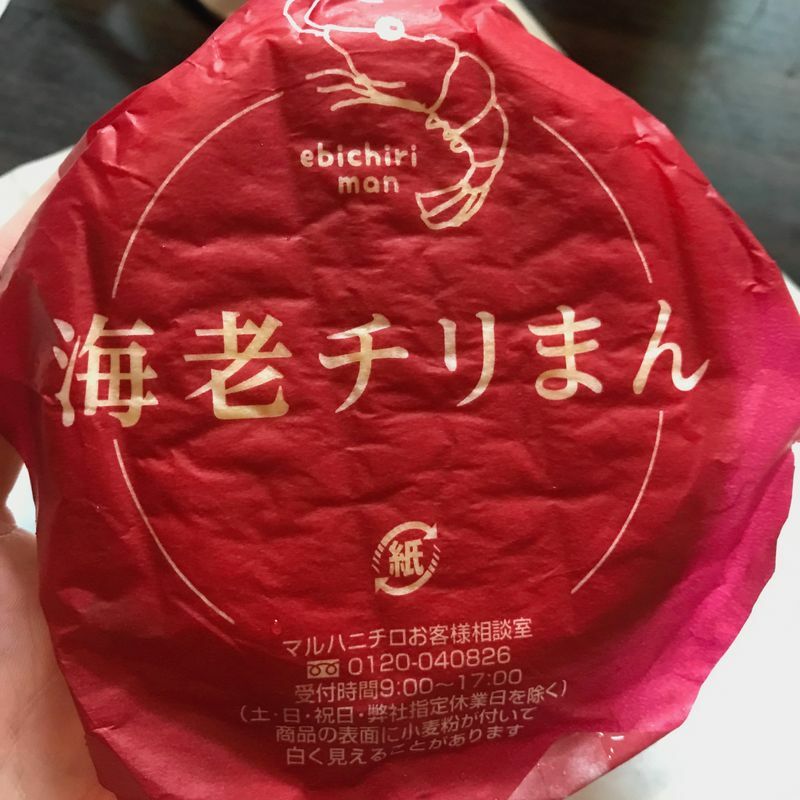 They tasted like the dehydrated shrimps found in the Cup Noodles shrimp flavor. The sauce was viscous and sweeter than it was spicy. 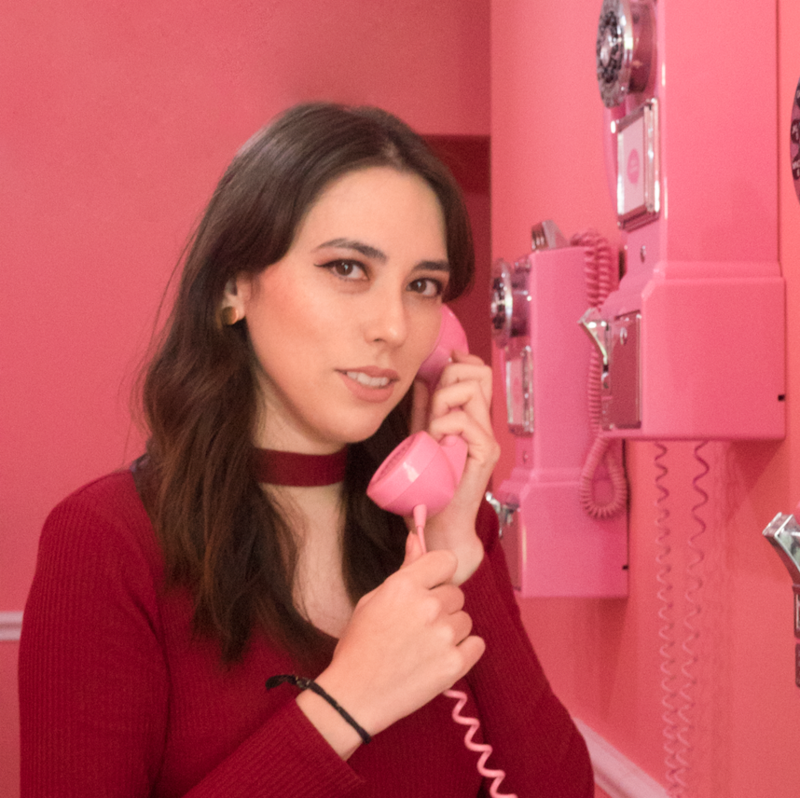 For me, it was only okay. I wouldn't purchase it again, especially since it was one of the more expensive buns that were sold at the time. 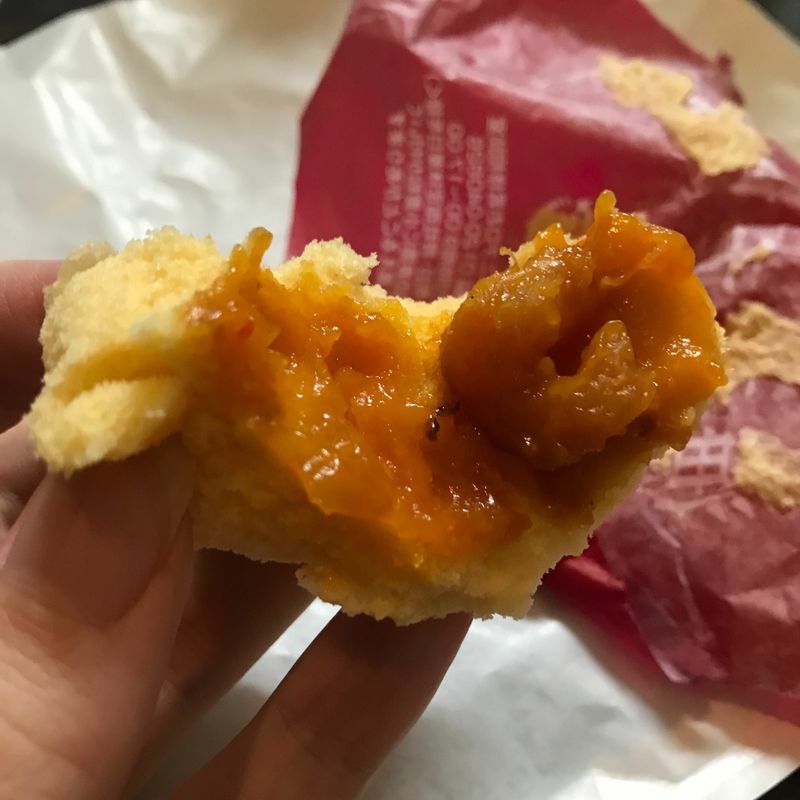 For a 7-Eleven bun, it missed the mark. But if it were sold by any other convenience chain, I would be more understanding of its shortcomings.